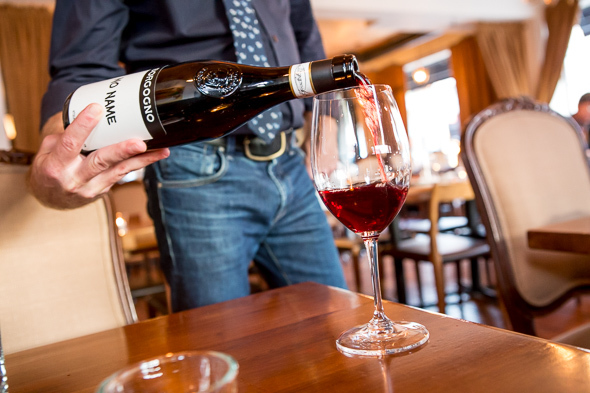 Campagnolo means country bumpkin , so it's fitting that this Dundas West restaurant serves rustic dishes with a touch of refinement. 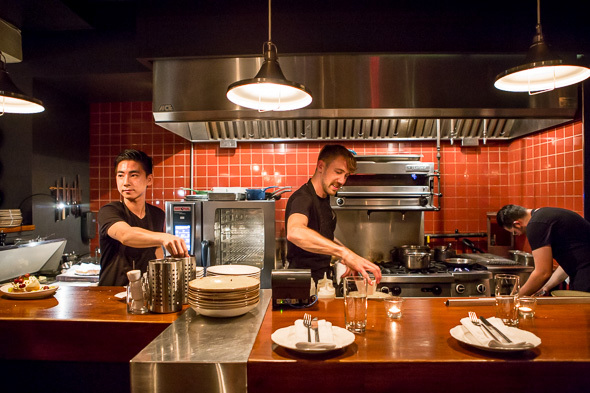 It's mainly Italian fare, with an emphasis on seasonal Canadian ingredients. The dining room is warm and homey - it feels like a very discreet place to dine but also has a luxurious element with rich fabrics, warm wood tones and ornate chandeliers. 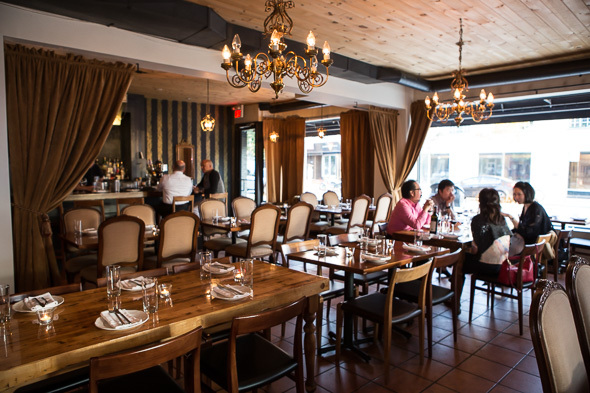 The seating is comprised of a fairly long bar, little tables, and a few larger ones for four. 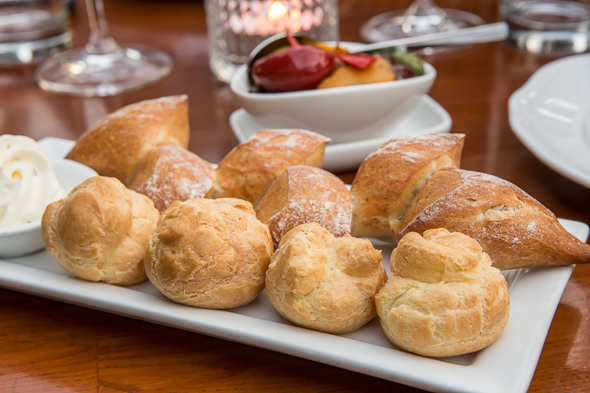 Salted chive butter comes with parmesan gougeres and house-baked baguette ($4). It goes well with the warm olives ($6) marinated with citrus peel and chili. The farinata tonnata ($17) is an excellent first course. 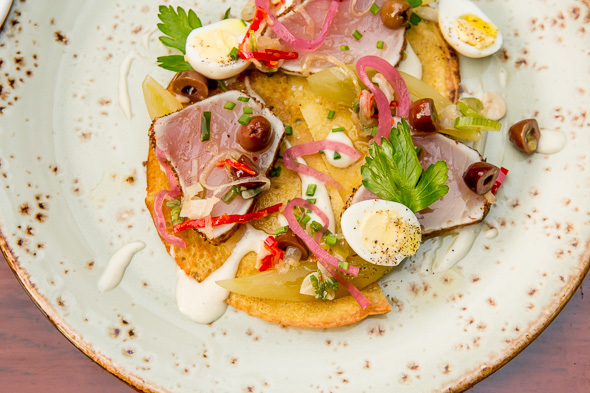 The farinata is a Sardinian (Mediterranean) chickpea pancake shallow fried in olive oil topped with sustainably sourced British Columbia albacore rubbed with chili, fennel and coriander, as well as hard-cooked quail eggs, pickled green tomato, olives and mayo made with the tuna. We have to try a pasta dish, as all their pasta is made fresh in house, opting for the spiced carrot agnolotti ($25). 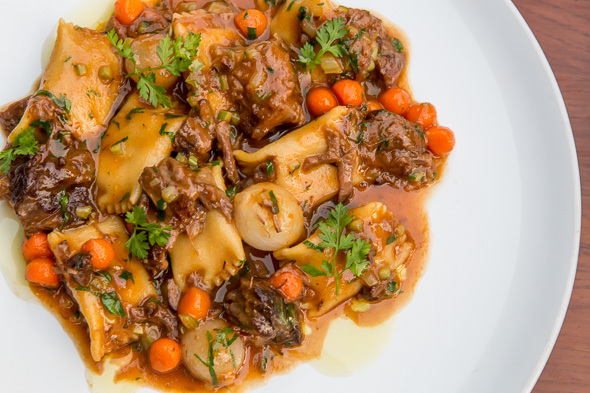 Agnolotti means little pillow, referring to its shape, and these are filled with a roast carrot puree and rest in a pile with braised short rib marinated overnight with red wine. That's all topped off with pearl onions, preserved lemon gremolata, fresh parsley and thyme. 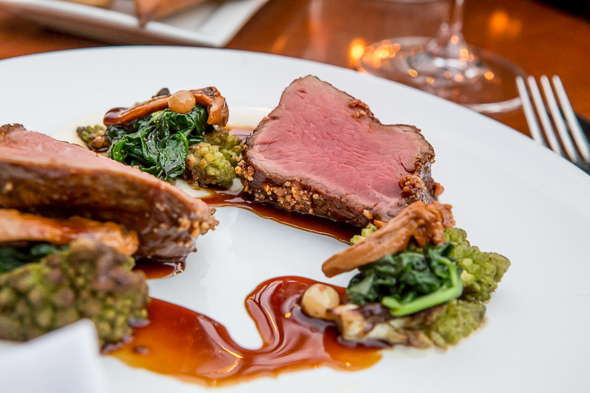 We try the Ontario veal striploin ($27) for a stunner of a main course. It's rolled in hazelnuts for a simple prep that allows the veal to shine, and serve it with roasted cauliflower puree, pickled chanterelles, raisins, and roasted Romanesco cauliflower (that cute little green cauliflower). Reduced red wine and port have been added to the jus, and there's some sauteed kale as well. The restaurant is also known for their refined house cocktails and great wine list. 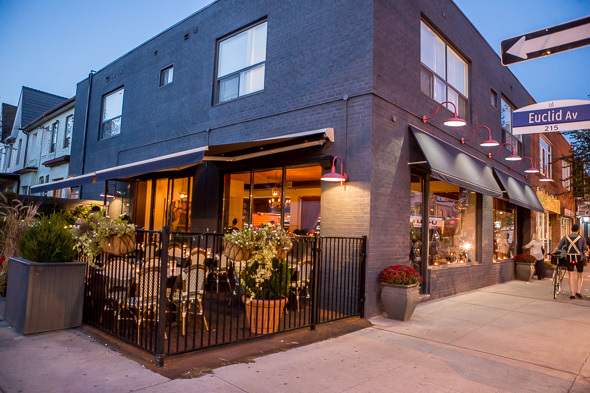 The occasional choice of TIFF celebs, Campagnolo is a cozy high-end spot for a luxurious date night or to get a taste of the high life with a few drinks and some olives either in their lovely dining room or chic patio .